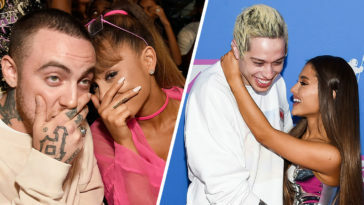 June has been one wild month for Ariana Grande and Pete Davidson. 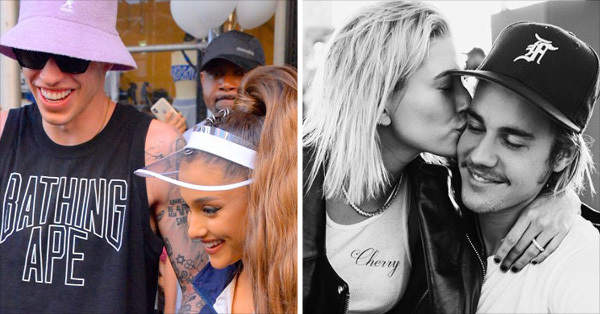 The two, who met in 2016 on the set of SNL, officially confirmed their relationship earlier this month via Instagram. Both Grande and Davidson were in serious relationships prior to getting together. 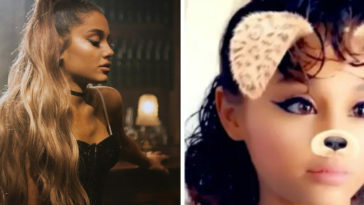 Grande had been dating rapper Mac Miller for several years, while Davidson was in an on-again/off-again relationship with actress Cazzie David. However, both relationships apparently ended sometime in May. Not long after confirming their relationship, rumors began spinning that the two were engaged. Davidson finally confirmed their engagement news via Instagram on June 16th. However, many began realizing that the couple has been engaged for much longer than we expected or realized. This week, Grande was seen sporting that giant engagement ring everyone has been talking about. But, at the iHeartRadio Wango Tango show on June 2nd, she was wearing the same ring. Clearly, this means the two have been engaged for way longer than anyone knew. 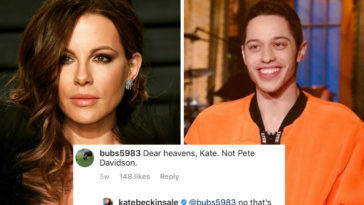 Plus, it puts Grande’s breakup from Mac Miller pretty damn close to her “I said yes” to Pete Davidson. The two have been actively obsessing over each other across their social media platforms. Like–PDA status. 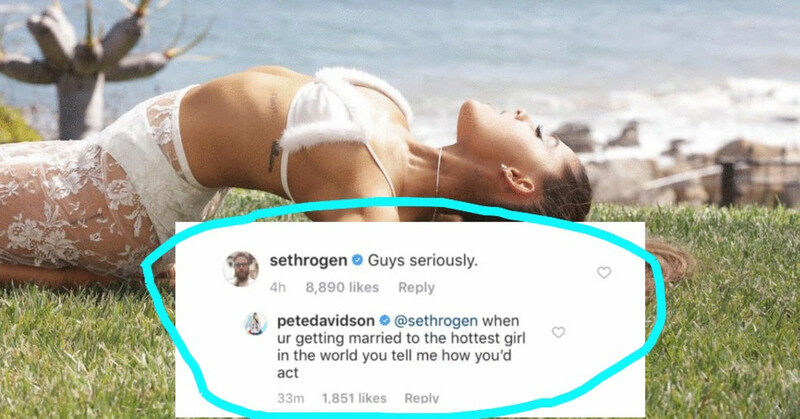 This week, someone finally called them out for their over-the-top lovefest on social media–none other than our favorite comedian Seth Rogan.